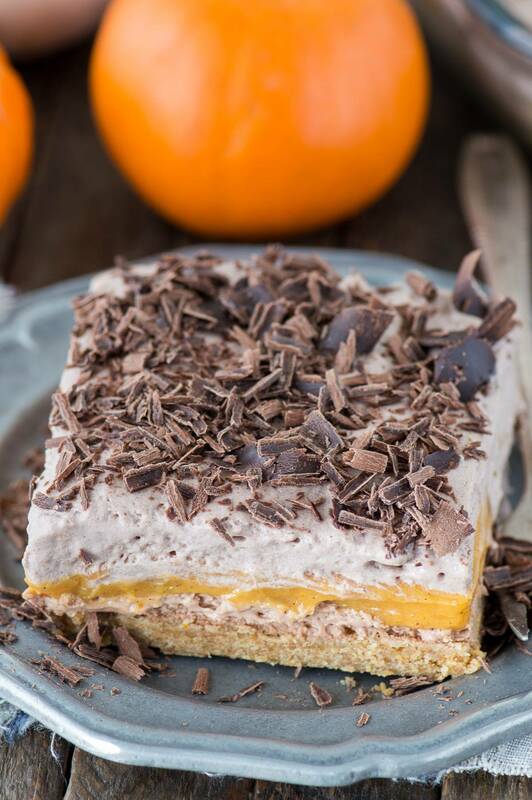 The BEST pumpkin dessert! 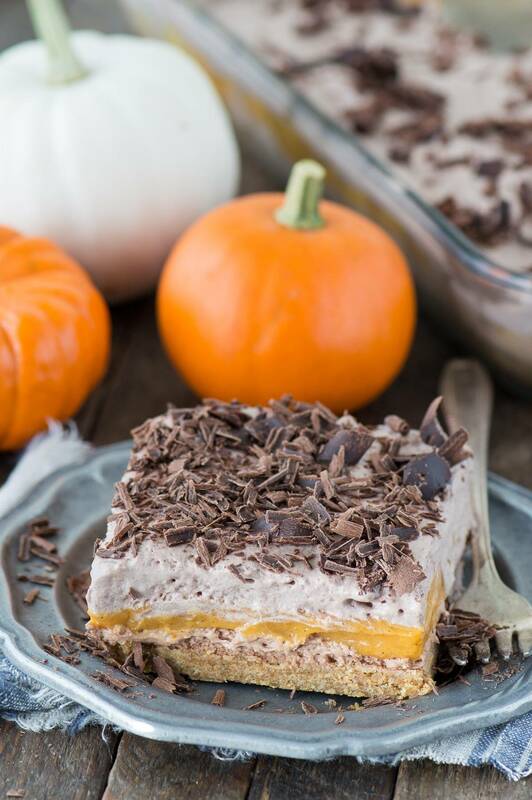 A chocolate pumpkin dessert lasagna with 4 amazing layers. 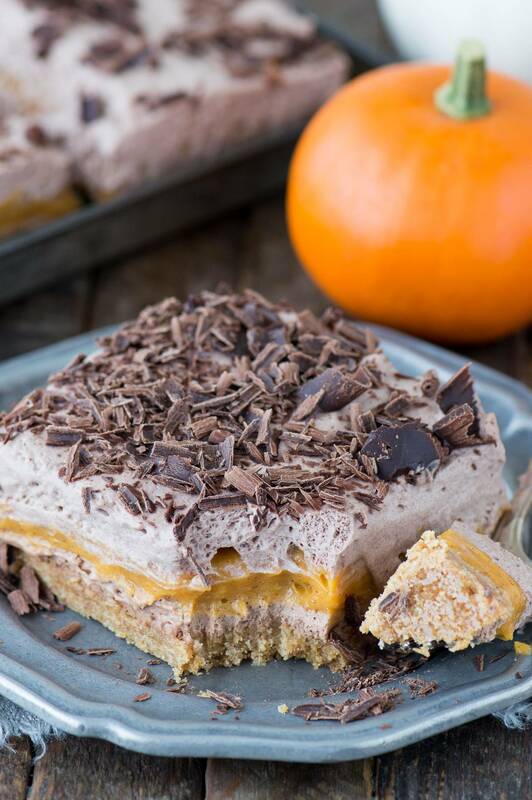 Featuring graham cracker crust, chocolate cheesecake, a pumpkin pudding layer, and homemade chocolate whipped cream! The temperature is holding steady at 85 degrees and there is no indication that the leaves will be changing color. It’s almost the end of September and I want fall! I’m dreaming of wearing jeans and sweaters, kicking up the fallen leaves, and snuggling on the couch with a good fall dessert and a hot cup of tea. 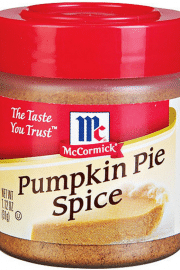 I will be honest, I only feel like eating pumpkin flavored things the last few weeks in September through October. 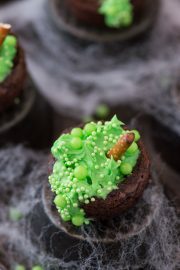 Once November hits, I’m kind of done with pumpkin and want chocolate and mint and christmas trees, gingerbread, but NEVER ever snow. 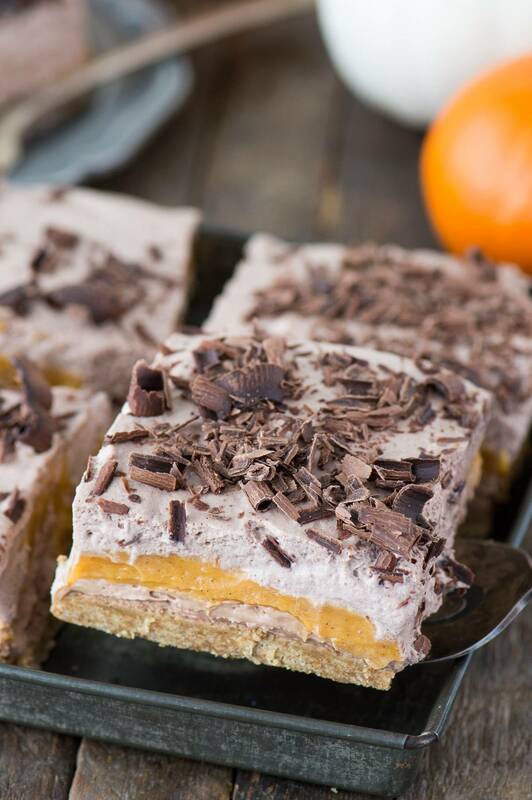 This chocolate pumpkin dessert lasagna is worth making at last once every fall season. Even if it’s August when all things pumpkin spice hit the stores or mid-November when pumpkin season is coming to an end – put it on your fall baking list! 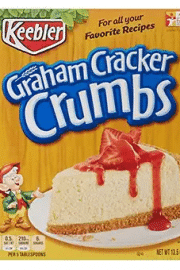 The graham cracker crust is pre-baked for 10-12 minutes before adding the additional layers. 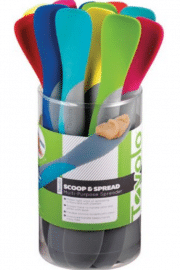 This is to help ensure that the crust doesn’t fall apart when slicing the lasagna. Layer #2: Chocolate cheesecake – An easy no bake rich chocolate cheesecake layer. 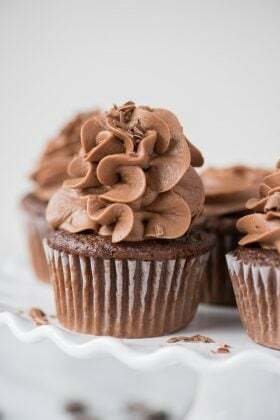 Simple and easy and made with real melted chocolate. Layer #3: Pumpkin filling – This one is good. 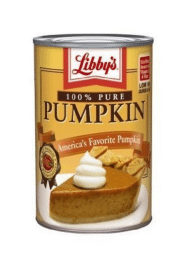 It uses 2 boxes of pudding mix (I used french vanilla for extra good flavor), pureed pumpkin and pumpkin pie spice. 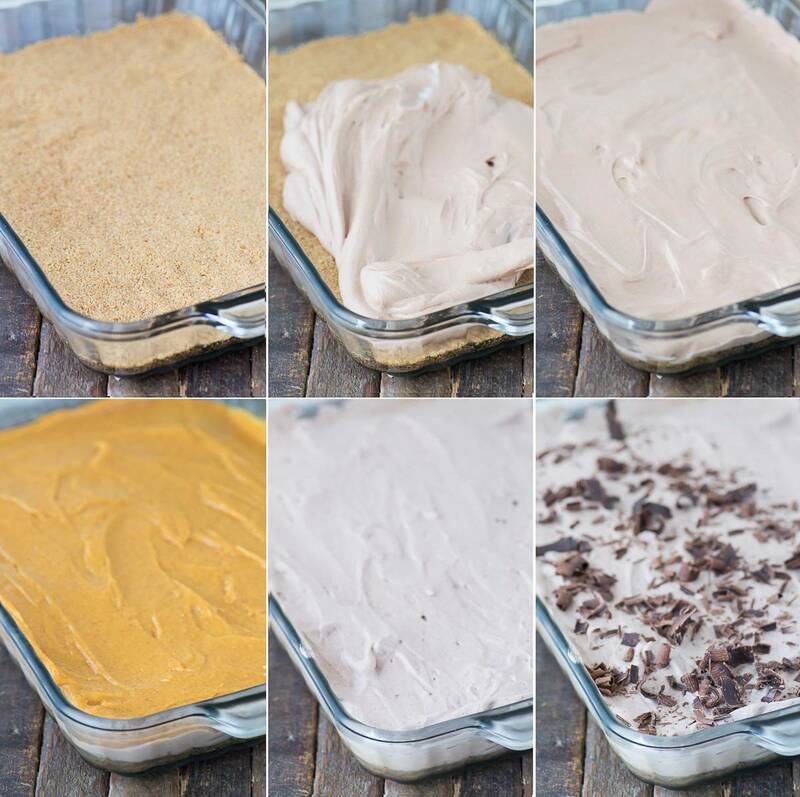 It creates a moist creamy layer. Layer #4: Chocolate whipped cream – oh my gosh, where has chocolate whipped cream been allll my life?! This is the first time I made chocolate whipped cream and it’s a game changer. 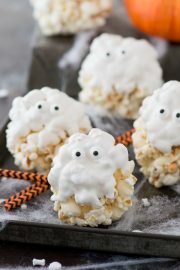 3 only ingredients needed – heavy cream, powdered sugar, and cocoa powder. I forgot about the chocolate shavings… do those count as a layer?!! 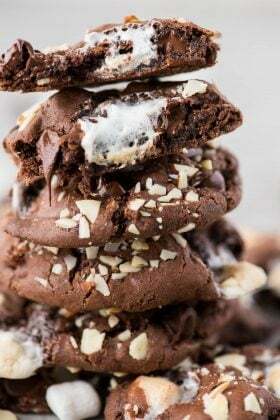 This is my favorite way to make chocolate shavings – heat chocolate bar in the microwave until it’s softer but not melty then use a vegetable peeler to make shavings. Ta da. Talk about a good life hack! Preheat the oven to 350º F. In a mixing bowl, combine the graham cracker crumbs, brown sugar and melted butter until the mixture is wet and will stick together when pressed. Spread the crust into the bottom of a 9x13 inch pan. 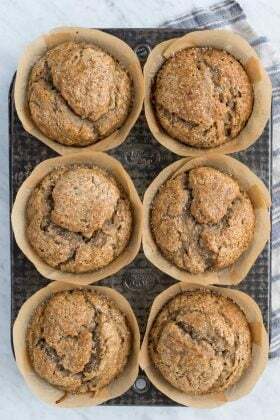 Use your hands or a heavy bottom flat cup to firmly press the crumbs into the pan. Bake the crust for 10-12 minutes. Allow the pan to cool completely before moving forward. You can place the pan in the fridge to help speed up the process. You could also bake the crust a day in advance. This is my favorite way to make chocolate shavings - heat chocolate bar in the microwave until it’s softer but not melty then use a vegetable peeler to make shavings. Ta da. Talk about a good life hack! Beth, this looks amazing and I ma sure it tastes amazing too. 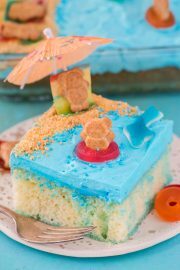 You are very creative with your recipes and I always share your work for people to visit your blog. Enjoy your day. 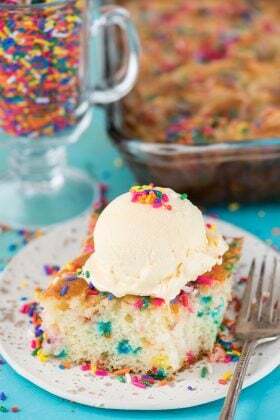 Beth, this recipe is awesome! 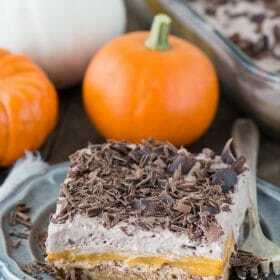 Pumpkin and chocolate combined together must be very delicious!